REQUIREMENTS: Bachelor of Music in Contemporary Writing and Production or related field. JOB DUTIES: Work with all aspects of music production. Write and arrange original music in a variety of musical styles. Responsible for implementing music assets using custom tools as directed. Create MIDI mock-ups based on composition specification. Work with all forms of score preparation (e.g., notation, orchestration, etc.). Manage and archive all music assets. Troubleshoot music-related requests for games and editors. Prepare cinematic sessions for review and stem sessions for final delivery. The position requires an understanding of the musical identity of game products. Must anticipate the needs of game product. 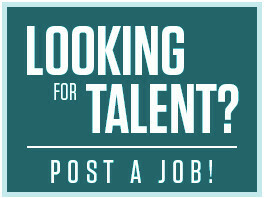 CONTACT: Please send resume ref#16218/contact T. Pham for an appointment.